Hyacinths are a favorite flower among many gardeners. Sprouting in late winter, they provide some of the earliest blossoms of the growing season. 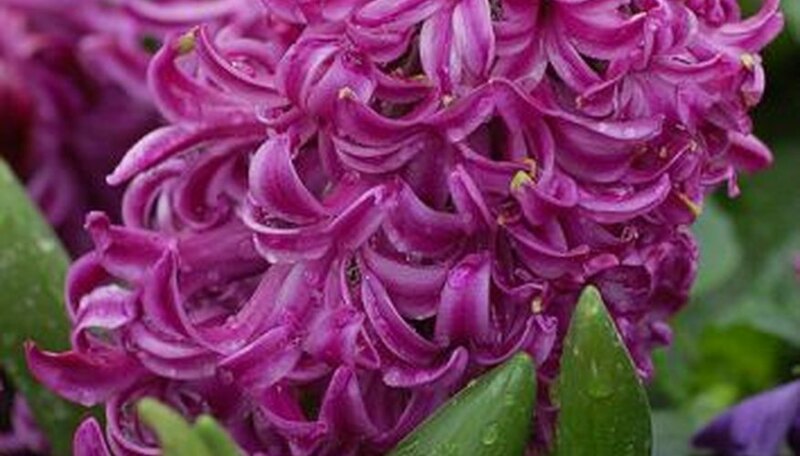 Hyacinths come in a wide range of colors and sizes and have a sweet fragrance. Once the hyacinth flowers have faded, what you do with the plants depends upon whether they are planted in a garden or in a pot. After they have flowered, hyacinths produce the energy they need for the next season's blooms. Do not remove the plant, but cut the stems of the faded hyacinth completely to the ground. Continue to water the plants as the foliage fades naturally. Some gardeners plant other flowers to hide the foliage. Apply a general fertilizer or compost after the hyacinth flowers.